In 2015, nearly a million people crossed the Aegean fleeing persecution or seeking a better life. Many of these people made perilous journeys to reunite with family members. The lack of accessible, safe and regular routes for family reunification has resulted in thousands of people taking dangerous journeys, making them vulnerable to abuse and exploitation at the hands of smugglers and traffickers. European migration policies put in place to prevent irregular migration into Europe make it likely that families will be separated and make it difficult for them to reunite. Many people in Greece that remain separated from loved ones in another EU member state are increasingly desperate to reunite with them. Most have been stranded in Greece for over a year, trying to navigate the asylum system and family reunification procedures. 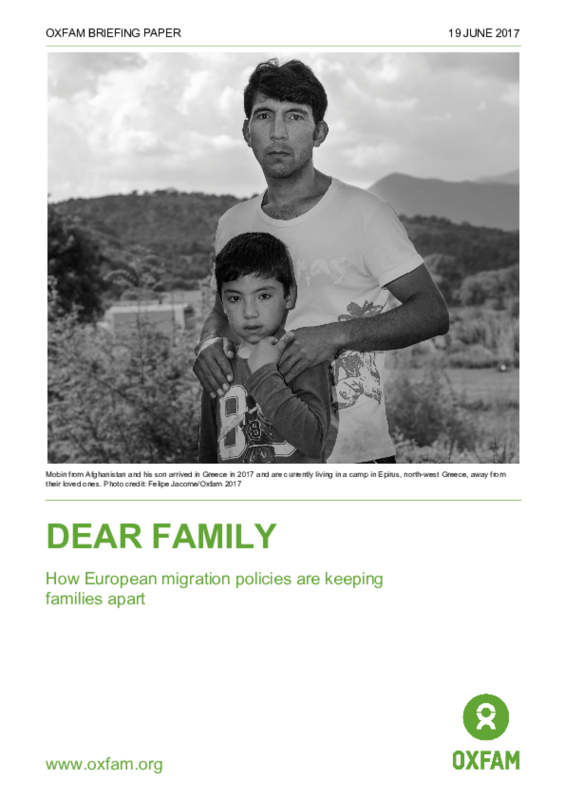 This report identifies the impact of European migration policies on family unity and the wellbeing of people stranded in Greece. It is based on a series of focus group discussions and key informant interviews conducted in Greece between February and May 2017. The report calls on the governments of Greece and other EU member states to protect the right to family life of refugees and anyone who applies for international protection.